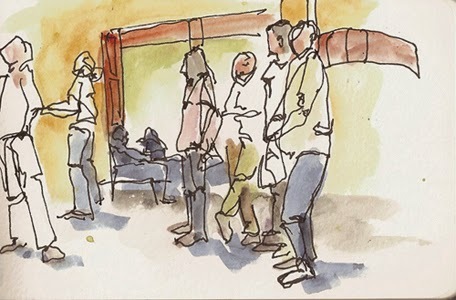 It was definitely happening Sunday morning as out 35+ urban sketchers milled about inside and outside. I thought I'd approach this month's location by perching myself on a street corner, but when the morning's blue skies and warm sun were replaced by clouds and cool temps I adapted to the indoor climate and buzzing atmosphere. I started trying to draw accurately, gave up and went for the feeling of activity and busyness. It was all pretty complicated and somewhat overwhelming and yet it was interesting ... and warm inside. ... waiting for their lattes. 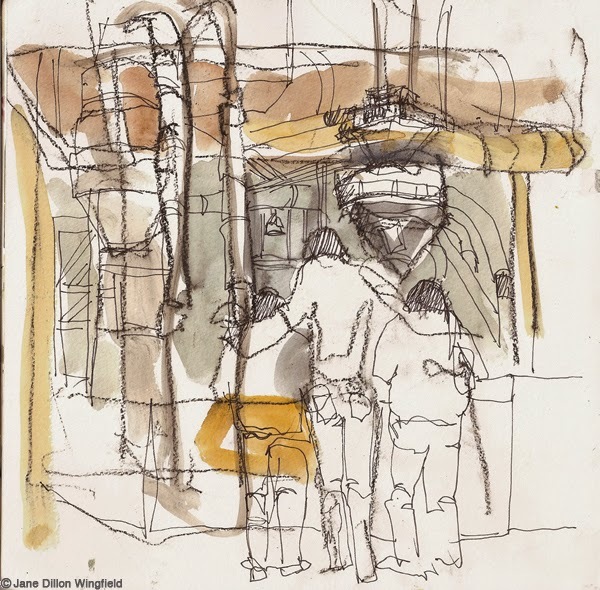 Nice Sketches Jane, you were able to make some sense of a complicated and busy space by breaking it down. Nice! You captured the happening! 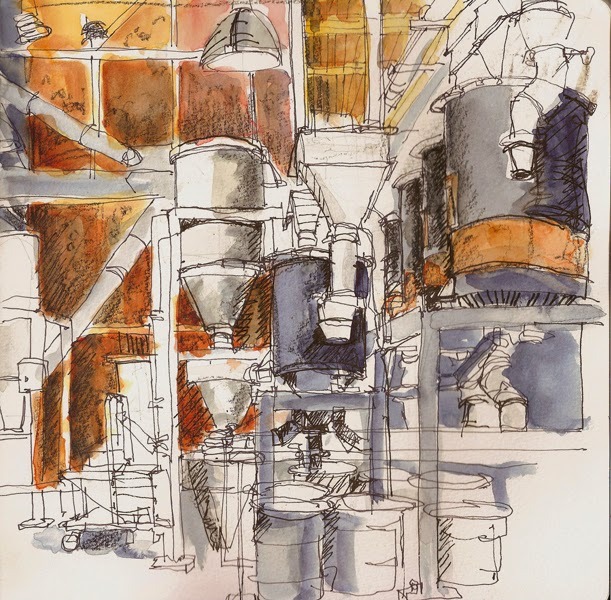 I particularly like the balance of warm/cool/neutral color in the center sketch of all the geometric shapes. Wow, Jane! I really love these, especially the middle sketch, with its strong light and dark values, and all the round and cylindrical objects set against the strong perpendicular geometry - not to mention the gorgeous colors!